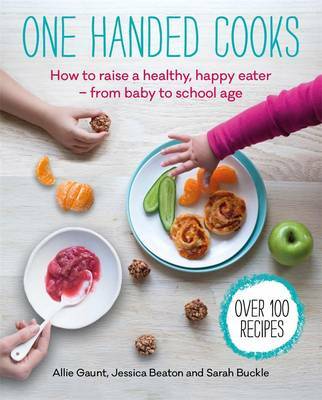 Following on from their highly successful debut cookbook, the hugely popular One Handed Cooks have created this new collection of recipes and mealtime advice to provide inspiration and ideas for family-friendly food that's healthy, simple to prepare and packed full of flavour. Alongside easily adaptable meals, satisfying vegetarian options, brilliant ideas for lunchboxes and much more, you'll find helpful solutions to tackling the most challenging fussy eating behaviours while ensuring your child gets the nourishment they need. - Cater to common allergies and intolerances (such as dairy, gluten and wheat) with simple substitutions that don't compromise on nutrition. Buy One Handed Cooks: Boosting Your Basics by Allie Gaunt from Australia's Online Independent Bookstore, Boomerang Books.